Unneeded Treatment And Overpriced Services Fuel Health Care Waste : Shots - Health News Unnecessary or needlessly expensive care costs hundreds of billions of dollars a year. Patients, employers and taxpayers are footing the bill. 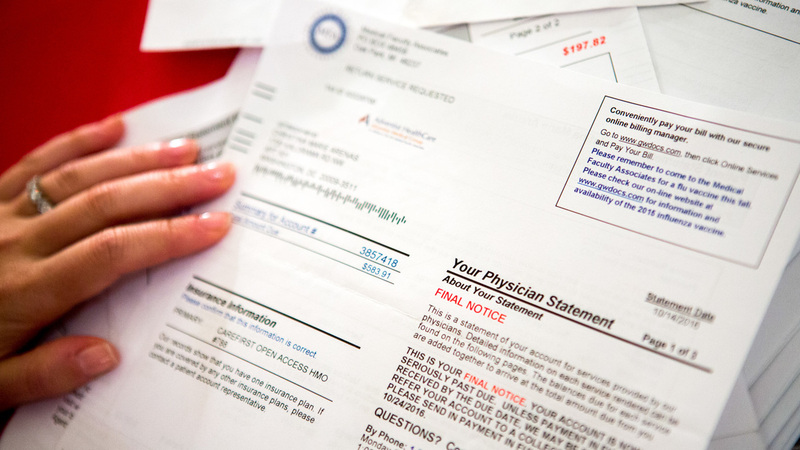 Christina Arenas reviews her medical bills at home in Washington, D.C. She complained about a mammogram and ultrasounds that she felt were unnecessary and sought a refund. Two years ago, Margaret O'Neill brought her 5-year-old daughter to Children's Hospital Colorado because the band of tissue that connected her tongue to the floor of her mouth was too tight. The condition, called being literally "tongue-tied," made it hard for the girl to make "th" sounds. It's a common problem with a simple fix: an outpatient procedure to snip the tissue. During a preoperative visit, the surgeon offered to throw in a surprising perk. Should we pierce her ears while she is under? O'Neill's first thought was that her daughter seemed a bit young to have her ears pierced. Her second: Why was a surgeon offering to do this? Wasn't that something done for free at the mall with the purchase of a starter set of earrings? "That's so funny," O'Neill recalled saying. "I didn't think you did ear piercings." The surgeon, Peggy Kelley, told her it could be a nice thing for a child, O'Neill said. All she had to do is bring earrings on the day of the operation. O'Neill agreed, assuming it would be free. Her daughter emerged from surgery with her tongue newly freed and a pair of small gold stars in her ears. Only months later did O'Neill discover the cost for this extracurricular work: $1,877.86 for "operating room services" related to the ear piercing — a fee her insurer was unwilling to pay. At first, O'Neill assumed the bill was a mistake. Her daughter hadn't needed her ears pierced, and O'Neill would never have agreed to it if she had known the cost. She complained in phone calls and in writing. The hospital wouldn't budge. In fact, O'Neill said it dug in, telling her to pay up or it would send the bill to collections. The situation was "absurd," she said. "There are a lot of things we'd pay extra for a doctor to do," she said. "This is not one of them." Kelley and the hospital declined to comment to ProPublica about the ear piercing. Surgical ear piercings are rare, according to Health Care Cost Institute, a nonprofit that maintains a database of commercial health insurance claims. The institute could only find a few dozen possible cases a year in its vast cache of billing data. But O'Neill's case is a vivid example of health care waste known as overuse. Into this category fall things like unnecessary tests, higher-than-needed levels of care or surgeries that have proven ineffective. Wasteful use of medical care has "become so normalized that I don't think people in the system see it," said Dr. Vikas Saini, president of the Lown Institute, a Boston think tank focused on making health care more effective, affordable and just. "We need more serious studies of what these practices are." Experts estimate the U.S. health care system wastes $765 billion annually — about a quarter of all the money that is spent. Of that, an estimated $210 billion goes to unnecessary or needlessly expensive care, according to a 2012 report by the National Academy of Medicine. ProPublica has been documenting the ways waste is baked into the system. Hospitals throw away new supplies, and nursing homes discard still-potent medication. Drugmakers combine cheap ingredients to create expensive specialty pills, and arbitrary drug expiration dates force hospitals and pharmacies to toss valuable drugs. We also reported how drug companies make oversize eyedrops and vials of cancer drugs, forcing patients to pay for medication they are unable to use. In response, a group of U.S. senators introduced a bill this month to reduce what they called "colossal and completely preventable waste." But any discussion of waste needs to look how health care dollars are thrown away on procedures and care that patients don't need — and how hard it is to stop it. Arenas, 34, has a history of noncancerous cysts in her breasts, so last summer when her gynecologist found some lumps in her breast and sent her for an ultrasound to rule out cancer, she wasn't worried. But on the day of scan, the sonographer started the ultrasound, then stopped to consult a radiologist. They told her she needed a mammogram before the ultrasound could be done. Arenas, an attorney who is married to a doctor, told them she didn't want a mammogram. She didn't want to be exposed to the radiation or pay for the procedure. But sitting on the table in a hospital gown, she didn't have much leverage to negotiate. So, she agreed to a mammogram, followed by an ultrasound. The findings: no cancer. As Arenas suspected, she had cysts, fluid-filled sacs that are common in women her age. The radiologist told her to come back in two weeks so they could drain the cysts with a needle, guided by yet another ultrasound. But when she returned she got two ultrasounds: One before the procedure and another as part of it. The radiologist then sent the fluid from the cysts to pathology to test it for cancer. That test confirmed — again — that there wasn't any cancer. Her insurance whittled the bills down to $2,361, most of which she had to pay herself because of her insurance plan. Arenas didn't like paying for something she didn't think she needed and resented the loss of control. "It was just kind of, 'Take it or leave it.' The whole thing. You had no choice as to your own care." Arenas, sure she had been given care she didn't need, discussed it with one of her husband's friends who is a gynecologist. She learned the process could have been more simple and affordable. Arenas complained to The George Washington Medical Faculty Associates, the large Washington, D.C., doctor group that provided her treatment. Her request to have the bill reduced was denied. Then bill collectors got involved, so she demanded a refund and threatened legal action. 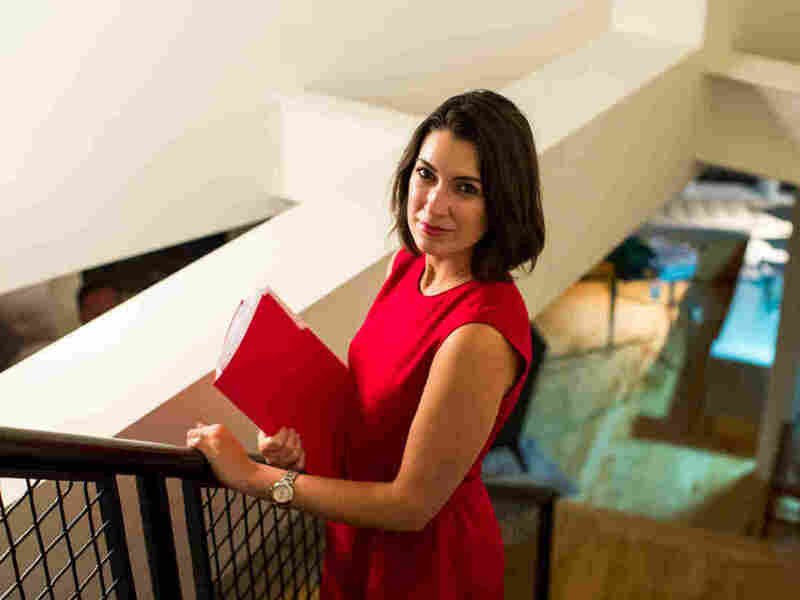 "I was taken advantage of because I was a captive audience," says Christina Arenas, who felt pressured to agree to tests and procedures she didn't need for noncancerous cysts in her breasts. She said she never got to speak to anyone. Her demand was routed to an attorney, who declined her request because there was "no inappropriate care." She also complained to her insurance company and the Washington, D.C. Attorney General's office, but they declined to help reduce the bill. Overtreatment related to mammograms is a common problem. The national cost of false-positive tests and overdiagnosed breast cancer is estimated at $4 billion a year, according to a 2015 study in Health Affairs. Some of this is fueled by anxious patients and some by doctors who know that missing a cancer diagnosis can be grounds for a medical malpractice lawsuit. But advocates, patients and even some doctors note the screenings can also be a cash cow for physicians and hospitals. With Arenas' permission, we shared her case with experts, including Dr. Barbara Levy, vice president of health policy for the American College of Obstetricians and Gynecologists and three radiologists. Levy said there is a standard way to treat a suspected breast cyst that's efficient and cost-effective. If the lump is large, as in Arenas' case, a doctor should first use a needle to try to drain it. If the fluid is clear and the lump goes away, there is no cause for concern or extra testing. If the fluid is bloody or can't be drained or the mass is solid, then medical imaging tests can determine whether it's cancerous. However, doctors often choose to order imaging tests rather than drain apparent cysts, Levy said. "We're so afraid the next one might be cancer even though the last 10 weren't," she said. "So, we overtest." Levy and the radiologists agreed that at least some of Arenas' care seemed excessive. But their opinions varied, which shows why it can be difficult to reduce unnecessary care. Standards are often open-ended, so they allow for a wide range of practices and doctors have autonomy to take the route they think is best for patients. The American College of Radiology recommends an ultrasound for a 32-year-old — Arenas' age at the time of the procedure — with an unidentified breast mass. Mammograms are also an option, but "most benign lesions in young women are not visualized by mammography," the guidelines state. Dr. Phillip Shaffer, a radiologist who has practiced for decades in Columbus, Ohio, said he didn't think Arenas needed the mammogram. "I wouldn't do it," he said. "If I did an ultrasound and saw cysts, I'd say, 'You have cysts.' In 32-year-olds, the mammogram does almost nothing." Dr. Jay Baker, chair of the American College of Radiology breast imaging communications committee, agreed that the ultrasound alone would have "almost certainly" identified the cyst. But, he said, maybe something about the lumps concerned Arenas' radiologist, so a mammogram was ordered. None of the radiologists consulted by ProPublica could explain why two ultrasounds on the return visit would be necessary. According to Arenas' medical records, the practice told one reviewer that two were done to make sure the cysts hadn't changed. Shaffer didn't buy it. "They just billed her twice for one thing," he said. Levy, the gynecologist, said it's "excessive" to do two ultrasounds. And, she said, there was no need to send clear fluid to pathology. Arenas offered to waive her privacy rights so the practice that provided her treatment could speak to ProPublica. Officials from the practice declined to comment. Her medical records show that in response to reviews by her insurance company and the attorney general's office, her doctors said the care was appropriate. Since then, she has her cysts drained without images in her gynecologist's office for about $350. But Arenas said that on two occasions, she has used a needle at home to do it herself. (Doctors do not recommend this approach.) She admits it was an extreme choice, but at the time, she worried she would be subjected to more unnecessary tests. "I was taken advantage of because I was a captive audience," she said. In a brick-and-glass office park just outside Roanoke, Va., Missy Conley and Jeanne Woodward have battled on behalf of hundreds of patients who believe they've been overtreated or overcharged. The two work for Medliminal, a company that challenges erroneous and inflated medical bills on behalf of consumers in exchange for a share of the savings. The two women excitedly one-up each other with their favorite outrages. How about the two cases involving unnecessary pregnancy tests? One of the patients was 82 — decades past her childbearing years. The other involved a younger woman who no longer had a uterus. Another case involved an uninsured man who fell off his mountain bike and hurt his shoulder. The first responders pressured him to take an air ambulance to a hospital when it would have been faster for his friends to drive him. He got charged $44,000 for the trip. Such unexpectedly pricey flights — and the aggressive billing that comes with them — have been featured in stories by NPR, The New York Times and The Atlantic. Medliminal gets dozens of calls a week from consumers who are fed up with the medical system. Woodward, a nurse and certified medical auditor, regularly sees patients billed for unnecessary lab tests. A man with diabetes may only need his glucose measured, but the doctor may order a bundle of 14 unnecessary tests, she said. The extra tests inflate the tab. If there is a billing dispute, it can take months of phone calls and emails to get a case resolved, said Conley, who gained an insider's knowledge during years working for insurance companies. Patients fighting bills on their own often give up and pay the bill or let it go to collections, she said. "The whole system is broken," Conley said. Saini, president of the Lown Institute, said profit is a major driver of overuse. "Providers are getting constant messages from superiors or partners to maximize revenue," Saini said. "In this system we have, that's not a crime. That's business as usual." Patients aren't true health care consumers because they typically can't shop by price and they often don't have control over the care they receive, Saini said. The medical evidence may support multiple paths for providing care, but patients are unable to tell what is or is not discretionary, he said. Time pressure adds urgency, which makes it difficult to discuss or research various options. "It's sort of this perfect storm where no one is really evil, but the net effect is predatory," Saini said. Once the service or treatment is provided, the bill is on its way, with little forgiveness. "We really don't have good standards and a good discussion going on about who should receive ICU care," said Dr. Dong Chang at the Harbor-UCLA Medical Center campus in Torrance, Calif. 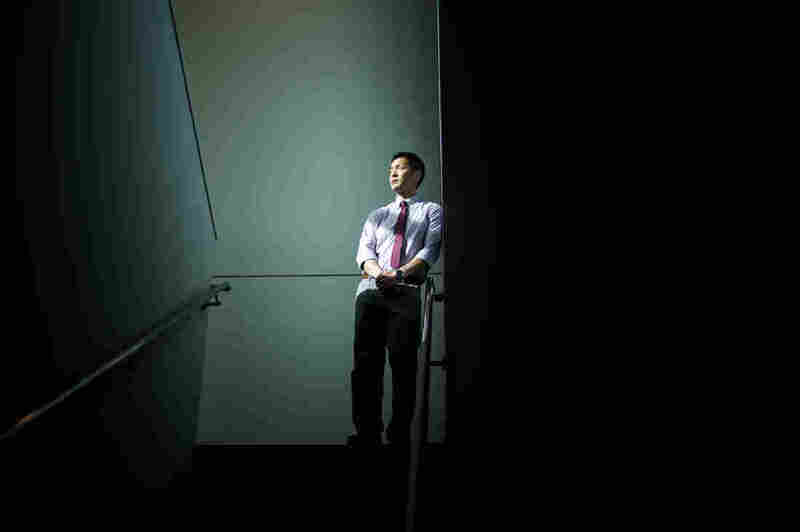 In 2015, Dr. Dong Chang, the director of the medical intensive care unit at Harbor-UCLA Medical Center, a public hospital in Los Angeles, decided to see whether the care being delivered in his ICU was appropriate. Resources were scarce in his ICU, and he suspected it might be possible to manage them better. So, he and his colleagues reviewed the records of all the patients in the unit over the course of a year to see whether the patients might have been either too sick, or too healthy, to benefit from intensive care. The results shocked them. They determined the care may not have been beneficial to more than half of the patients. "ICU care is inefficient, devoting substantial resources to patients less likely to benefit," their study, published in the February edition of JAMA Internal Medicine, concluded. Chang and his team also reviewed the use of intensive care at 94 hospitals in two states, Maryland and Washington, focusing on four common conditions that can lead to treatment in an intensive care unit. They found wide variation in the types of patients hospitals determined needed intensive care. One hospital put 16 percent of patients with diabetic ketoacidosis, a serious condition that can result in a coma, in intensive care, while another hospital did so with 81 percent of such patients. The range for patients with pulmonary embolisms was from 5 percent to 44 percent, and for those with congestive heart failure, it was 4 percent to 49 percent. Chang attributes the difference to doctors using intensive care based on their habits, hunches or training. Profit, he said, may also be a motive, but it didn't appear to be a driving force. "We really don't have good standards and a good discussion going on about who should receive ICU care," Chang said. The unnecessary intensive care can also be harmful. The study found intensive care patients underwent more invasive procedures, like the insertion of catheters, including central lines, which carry the risk of infection. Overuse of the ICU is bad for patients who don't need it, Chang said. Survival rates were also no better at the hospitals that used intensive care the most. Reducing unneeded intensive care stays would save big money. Intensive care costs about $10,000 for a typical stay and accounts for 4 percent of national health care expenditures, according to research cited by Chang's team. If the hospitals in Maryland and Washington with the highest rates of intensive care use had behaved more like those with lower use, it would save about $137 million, the study estimated. That is the savings for fewer than 100 hospitals in two states. There are about 4,000 hospitals nationwide, suggesting that reducing unnecessary intensive care use could save billions of dollars a year. Chang hesitated to call the overuse of intensive care "wasted" health care spending. He said the medical literature calls it "non-beneficial" care, which is maybe a nicer way of saying the same thing. For O'Neill, her dispute of the fee for her daughter's ear piercing was a trip into the hell of medical billing. O'Neill is an attorney, so she knows how to weed through fine print. But it took her untold hours and phone calls to the hospital and her insurance company to root out the issue. The hospital had initially billed her insurer for the $1,877.86 for "operating room services" related to the ear piercing. The company rightly rejected payment for the cosmetic procedure. So, the hospital billed the family, according to her medical and billing records and correspondence. The surgeon billed the family an additional $110, which O'Neill paid. The operative report describes the piercing in obscure technical terms: "The bilateral lobules were prepped with betadine and a 18 gauge was used to pierce the left lobule in the planned position ... ."
O'Neill said she got nowhere in several conversations with the manager of the hospital's team that deals with payments directly from consumers. Then in mid-July, O'Neill wrote a letter to the manager explaining that they were at an impasse and urged the hospital to cancel the bill. In early August, ProPublica contacted the hospital and surgeon to inquire about the ear piercing. The hospital spokeswoman replied in an email that, generally speaking, ear piercings during surgery are rare and only done at the request of a family. (The medical records say O'Neill requested the ear piercing.) It would not result in a separate operating room charge, she wrote. The spokeswoman's explanation didn't jibe with the hospital's bill, which even listed the billing code for ear piercing. She declined to discuss O'Neill's case or explain the discrepancy. In mid-August, the self-pay manager sent O'Neill a letter saying, "the remaining balance of $1,877.86" would be removed "as a one-time courtesy adjustment." The manager added that the hospital hadn't done anything wrong. The account was "correctly documented, coded, charged and billed according to industry standards," she wrote. And that's just the problem. The hospital's $1,877.86 bill for the ear piercing was within industry standards. As for O'Neill, she and her daughter had to endure one additional insult. The surgeon's piercing of one ear was off-kilter so it had to be redone. This time O'Neill had it done at the mall, for about 30 bucks. ProPublica is a nonprofit newsroom based in New York. You can follow Marshall Allen on Twitter:@marshall_allen. Have you seen examples of wasted health care spending? Share them with Marshall here.